Botanica 5 in 1 Multi-Purpose Spray comes in a 750ml bottle and consists of a unique natural formula that can be used for nearly all of your grooming needs. 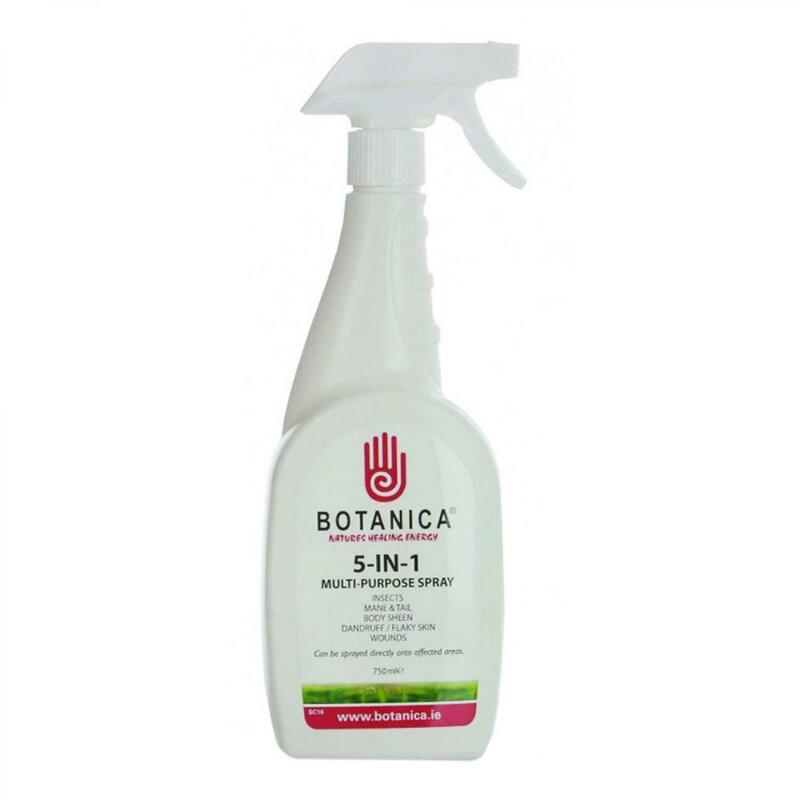 Botanica 5 in 1 spray can be used on cows, sheep, horses, pigs and more and is perfect for dealing with insects, cleaning the mane and tail, leaving a beautiful body shine and can even treat dandruff or flaky skin and wounds. Simply spray onto the affected area. Botanica cater for the growing awareness of natural products and to utilize the wonders of Nature’s Healing Energy. A popular Irish based cleansing product range that have proven to be popular and is available for delivery throughout Ireland, the UK and worldwide.